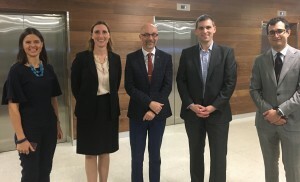 To celebrate Hearing Awareness Week, Macquarie University Hospital in collaboration with the Australian Hearing Hub organised a hearing healthcare GP education seminar. 30 GP’s attended this interactive educational seminar led by Macquarie University Hospital and Australian Hearing Hub specialists. This education seminar was accredited by continued professional development (CPD) through the RACGP GPs and specialists program.